Design for America (DFA) is an award-winning nationwide network of interdisciplinary student teams and community members using design to create local and social impact. We teach human centered design to young adults as they work with community partners through extra-curricular, university-based, student-led design studios tackling national challenges in the areas of education, health, economy and environment. Founded as a small group of students and faculty at Northwestern University in 2009, as of spring 2014 we have grown to over 600 students among 21 college campuses across the US. We continue to expand every year pursuing the mission of creating a pipeline of leaders of innovation and impact through the implementation of DFA projects. We are generously supported by Northwestern University’s McCormick School of Engineering, the Segal Design Institute, and our sponsors. 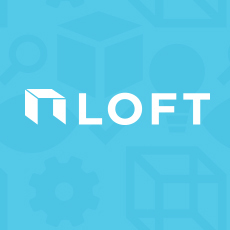 Please post your studio's update to our cohort's Loft page by Thursday, Oct. 8th at 12pmPT|2pmCT|3pmET. Check out the google doc under FILES for notes during the call. If you'd like to answer the question or add your thoughts to the topic being said, keep the doc open and feel free to type as well! Please post your answers to the questions here! - What has been your studio's high in the last few weeks? - What has been your studio's low in the last few weeks? - What will your studio achieve between now and the next call? - What is one question for the cohort as you move forward to achieve this goal? CC will post the call notes throughout the call on this page! Our first cohort call dedicated to connecting the network and sharing stories and best practices! Help us do things better! We have 3 different prototypes that you can find in the files tab. We are looking for feedback on the intuitiveness of the designs, if the designs reach our stated goals, and how we should test the designs with users! How can we create opportunities for DFA studios to connect and facilitate these connections?